Meizu is officially coming over to the U.S., announcing on Tuesday that a variation of its MX3, which has been available over in Asia for a few months, will arrive stateside during the third quarter of this year. The company actually sent TechnoBuffalo a unit a few weeks ago, complete with Flyme 3.0, and things seem to be going along pretty smoothly. Meizu doesn't have much of a reputation over here in the states just yet, but what we do know from past experience is that its retweaked overlay on Android does clearly have an iOS vibe. In the MX3, that's even more apparent since Flyme 3.0 is fresh off the assembly line. As far as design goes, Meizu's flagship is very simple, with a rounded plastic rear shell, microUSB connection on the bottom, headphone jack and power button on top, and volume rocker on the left side. From the front the device looks beautiful; the screen on the MX3 is Full HD at 5.1-inches, and there are hardly any bezels on the sides. The device is about as tall as an HTC One, which is in that Goldilocks Zone for most people. It feels very nice in the hand despite the device's slick plastic back, not heavy or difficult to navigate at all. The device has a very small metal band around the edges, going for that chamfered look that's so familiar on Apple products, and there's a little capacitive circle button on the front. 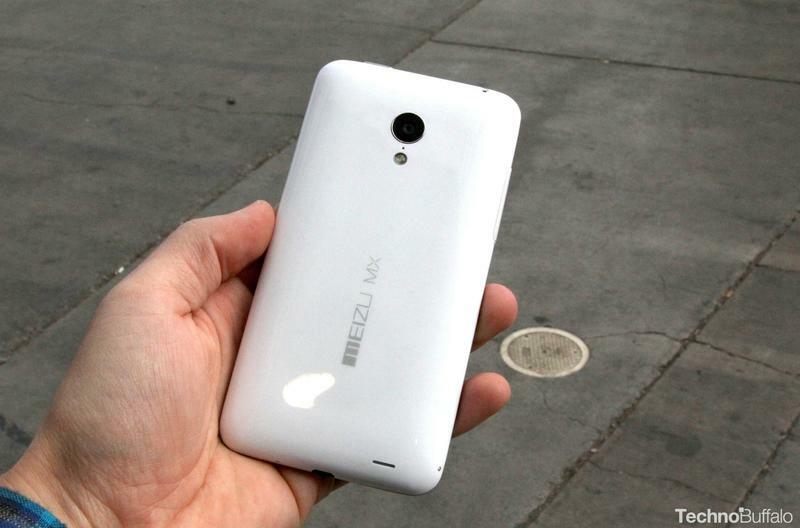 That's a curious decision on Meizu's part considering where Google is currently taking Android with onscreen buttons. Flyme 3.0 itself is a big mix of iOS and Android; I bet you could fool someone into thinking they're using a hybrid of both because of the way Flyme is designed. Icons are very simple, and take that flat approach Apple and Google introduced in their latest OSes. Instead of onscreen buttons at the bottom, Meizu takes them out in favor of just using a dock. When you are in apps, a dynamic little settings bar will show up at the bottom, and offer up options depending on what applications you're in. If you're browsing the Web, for example, you'll see a bookmarks button, tab button, reload button and a settings icon where you can clear history, share and more. We'll go more in depth with Flyme 3.0 as we continue to use the MX3, but suffice to say it looks and acts unlike anything in the Android world, and takes a lot of inspiration from iOS. Other MX3 specs include an Exynos 5 octa-core processor, 2GB of RAM, 3G, Wi-Fi and GPS. Meizu says it will continue to refine its newest device before heading over to the U.S., but the company has every intention of coming over in style. By that time, it'll be mighty difficult to go head to head with companies such as Samsung and HTC (and Apple), but the MX3 is very solid, and feels like a really big step in the right direction.